Campaigners in the region have joined the fight to have sailing reinstated as an event at the Tokyo Paralympic Games in 2020. The International Paralympic Committee (IPC) announced the 22 sports that would feature at the games at the weekend. Badminton and Taekwondo have been included for the first time, but the sport of sailing has been taken off the schedule. Sailing will be included in the Rio Paralympic Games of 2016, but not in 2020. The International Sailing Federation, which is based in Southampton - says it will make "every effort" to get the sport reinstated at Tokyo. Geoff Holt, from Hampshire, was the first quadriplegic yachtsman to sail around Britain, he spoke to ITV Meridian presenters Fred Dinenage and Sangeeta Bhabra about why he feels it is important for sailing to be reinstated as an event. A social media campaign by people who want sailing to be reintroduced as a paralympic event in 2020 has already gathered thousands of signatures. The twenty-two sports to be included are: athletics, archery, badminton, boccia, canoe, cycling, equestrian, football 5-a-side, goalball, judo, powerlifting, rowing, shooting, sitting volleyball, swimming, table tennis, taekwondo, triathlon, wheelchair basketball, wheelchair fencing, wheelchair rugby and wheelchair tennis. The International Paralympic Committee (IPC) said the decision was 'not an easy one'. 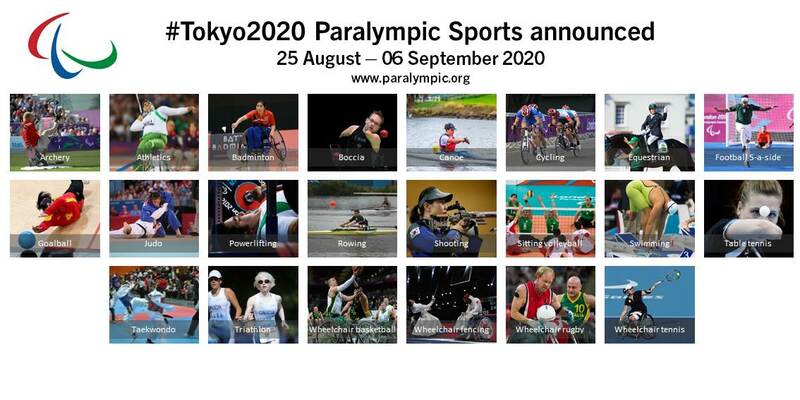 “I would like to thank all 24 sports for applying for inclusion in the Tokyo 2020 Paralympic Games and pass on my congratulations to the 22 sports that have been approved by the IPC Governing Board. In particular, I’d like to pay testament to the sports of badminton and taekwondo for the work they have undertaken in securing their place at a Paralympic Games for the first time.